The Inca Trail is closed for maintenance during the month of February which gives our busy guides the opportunity to do some additional training and community service projects. In addition to Culinary Classes for our chefs and a Beautification Project on the Huchuy Qosqo Trail this month, our guides all met in our Cusco office for two days this week for additional training. This included continuing education classes of First Aid, High Altitude Illness Training and Injury Prevention and Treatment courses. If you have trekked with Alpaca Expeditions, you know that our guides are not only great organizers and motivators, very knowledgeable and entertaining but also very competent at handling just about any situation that can be thrown at them while guiding our trekkers safely through our magnificent Andes Mountains. Still, on rare occasions something unexpected happens and we want to be 100% certain that our guides are prepared to handle surprise situations. We work in conjunction with O2 Clinics who help us with our annual training. 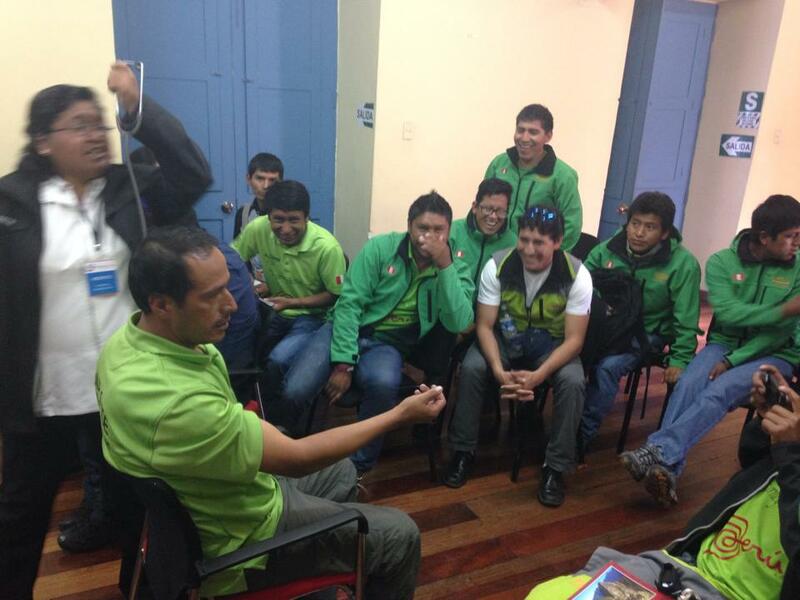 Basic First Aid and CPR Training are obviously valuable as well as training in other health issues that can affect people in the high mountainous regions of the Andes. It is also very important that our guides understand the basic physics of high altitude and the effects it can have on people who have not acclimatized well to our higher altitudes. They are trained in how to recognize the symptoms of High Altitude Illness and what to do to help the body with recovery and acclimatization. They carry with them and are trained in how to use a Pulse Oximeter which monitors oxygen saturation and heart rate and also how to administer oxygen if necessary, which they also carry. We then spent the afternoon on studying various bird and orchid species that are native to the area. We are now ready to start the 2015 Season! So come and enjoy the majesty and beauty of our Inca Trail and Alternative Treks in and around the Sacred Valley of the Incas in Peru and know that you are in good hands with Alpaca Expeditions. This is great to see! This is why your guides are the best!